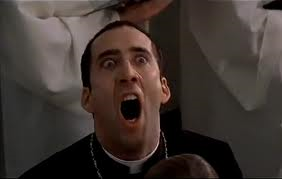 I recently had a debate with friends over whether, or not a certain actor– let’s just call him Nicholas Cage— is good. Now, it’s kind of a ridiculous question if you give it any serious thought. Nevertheless, his wide variety of performances in both good and bad films has sparked criticism, even made a bit of a joke out of him. But the discussion had barely begun when I quickly realized that certain values where being taken for granted by my friends and a clear separation of ideals was in order. For one, confusing art with business lead to polarizing views, as did our viewpoints on the role of a film actor, the importance of the director, and what makes a good agent. 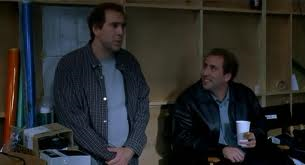 While believing that getting lots of work was good, they seemed to think a Nicholas Cage movie was actually a movie by Nicholas Cage and that a true actor is responsible for only choosing films that showcase a gratuitous display of talent, or are somehow remarkable or profound. Firstly, we must never mistake business for art. Artists must make a living and with that comes compromise in any trade. Usually, more money means more compromise. Few greats have achieved their pure artistic vision and made a killing off of it. I say that even only under certain assumptions. Actors, have it kind of hard, because they are what everyone sees, but they are at the mercy of the script, and the director’s vision among so many other variables. Their purpose changes depending on that vision. Are they to be realistic in their portrayal albeit mundane at times, or are they to strive always to be interesting even if it appears ludicrous on screen? A great actor has to do his homework and concern himself with some of these choices, but on the set, he has to trust his instincts and the leadership he is given. If he concerns himself with how he’s going to look his performance will be fake. That’s why it is so difficult for actors when they choose to direct themselves. If he sheds his anxiety and self awareness in order to give a pure performance in that moment, he may achieve greatness, though he risks looking like a fool. 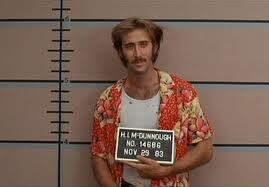 Nicholas cage is such an actor. He works for money, yes. His choices in films are based in part on financial incentive, but I also believe he has other motivations as an artist. Both motivations lead him into dicey territory, but he uses his ability purely and I believe his greatness is either amplified, or muted by the skills and artistry of the one who directs him. In short, there are many ways for an actor to approach his work, and many roles that require those separate approaches based on the projects requirements. 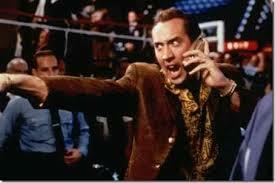 Cage is courageous and unflinching in his willingness to leap into a passionate moment without restraint. He pays for that sometimes but it also makes him the Nicholas Cage that people pay to see. if he is directed down another path and it doesn’t work out, he becomes the fall guy, but he only provides the possibilities. He doesn’t necessarily get to choose the outcome and that isn’t his job anyway. It perturbs me when people say certain actors are “just playing themselves.” This is an issue that also stems from the topic of acting as a career versus acting for art’s sake. In the 90’s, fans thought that because they’d see Sandra Bullock or Jim Carrey play similar characters over the years that somehow that’s really them on screen and they are not acting. Later, in their career they were able to show their diversity, but they were guilty of hitting the mark early in their career and kept getting hired to do the same thing. That’s not lack of talent, that’s life on the job. It also shows humility by acknowledging that it’s a paycheck, when actors don’t often get to make that distinction between art and business. My point is not that they were struggling. Jim Carrey quickly began earning $20 million a movie. My point is that they did what the studios paid them for. Turning down or accepting a role is a luxury for an actor. It’s a decision they have to weigh out each time, sometimes it’s a part they are dying to play for any number of reasons. Sometimes it’s just a gig and it may come with some strings or drawbacks. It is foolish to judge an actor’s talent, by the jobs he takes. Just as foolish as choosing to see a movie based only on the star that’s in it. Crediting an agent with finding an actor lots of work is just as blind. Another argument I hear about successful actors who are deemed mediocre, or poor is that they have a good agent. I’ve heard this about Keanu Reeves, an actor I also respect. While I haven’t seen a lot of depth, or diversity in his performances, he is too harshly criticized for his success. I think Keanu certainly has depth of insight and is very talented. It isn’t easy for a no talent hack to get representation. That obvious fact aside, a good agent should think long term for their clients. Getting work for the actor is the short term goal, but a sustainable career is the smart choice and that partnership is dependent on a lot of factors adding up to a fruitful career. I’m not saying Nicholas Cage doesn’t have a good agent. But the evidence suggests he may not have as much to do with Cage’s career as Cage himself does when deciding what to do next. When I think of who must have a good agent I think of Dwayne Johnson. I love him and I think he is a terrific actor. His career has been beautifully balanced between family comedies and R rated badassery, two things he does very well. He’s smart. He knows how to plan, but I think he has had a terrific partnership with his agent to keep that balance. Nicholas Cage’s situation is different. He works a lot. Based on a recent interview he cares deeply about the projects he commits to and is usually in it to learn something new. I know nothing about the negotiations, or how much he generally makes to do a film. I don’t actually care about that. What I value Cages work for, is his freedom of expression. He taps into the soul of something and releases it without holding anything back. It’s that courage to explore and mine and use those resources without hesitation that makes him potentially great so long as that raw energy can be directed through the appropriate lense. When you sign on for a film, you never actually know how it’s going to turn out. It takes a lot of faith and trust for an actor to work and that faith must pay off in the end, or all is lost. You can’t fix bad writing and you can’t usually be your own director. An actor should be seen for his insight and his honesty, his willingness to submit to a new persona and the strange new avenues set before him. Some actors put more of themselves into the character, some become an entirely new person for the duration of the production. There is no one right answer for how to be an actor. There is clearly bad acting and lack of talent, but those people tend not to go very far. When it comes down to it, it’s kind of a pass/fail career whether you’re a professional, or an amateur. There are great actors, of course; but you can’t fault a good actor for not being exceptional any more than you can judge an exceptional actor by anything other than his pure performance.